The Geothermal Resources Council Policy Committee (GRC PC) encompasses the policy-related activities of the former Geothermal Energy Association (GEA), which merged with GRC earlier in 2018 to enable the geothermal industry to speak with one voice. Are you a former GEA member who wants to continue to benefit from up-to-date information and analyses about policies and issues that impact the geothermal industry? Are you a GRC member who wants to understand and help influence State and Federal geothermal-related policy issues? If your answer to either question above is YES, now is the time to take the opportunity to position yourself among the most proactive geothermal companies, developers, scientists and engineers in the industry. Joining the GRC PC is a cost-effective way for you and your company to stay on top of policies and other issues that are critically important to the geothermal industry. With conference calls, in-person meetings and the implementation of activities to promote geothermal development, the GRC PC provides a unique opportunity to keep your finger on the pulse of policy issues that affect geothermal development and growth and ensure that your priorities are considered. By joining the GRC PC, you will benefit from work by lobbying firms that are already engaged by several major US geothermal developers, who have generously agreed to share the results and analyses with GRC PC members. A Roster of PC Members and Advocates will be distributed. Make A Difference – Join The GRC PC Today! The Geothermal Resources Council (GRC) has created a new Donate Page on the my.geothermal.org website. The GRC is a non-profit professional association that relies on support from generous people like you. By donating to the GRC, you are helping support our geothermal community through education, outreach, and dissemination of research across local, national and global society. Any amount is welcome and any support is appreciated. There are six different funds that you can donate to. All donations are tax deductible. 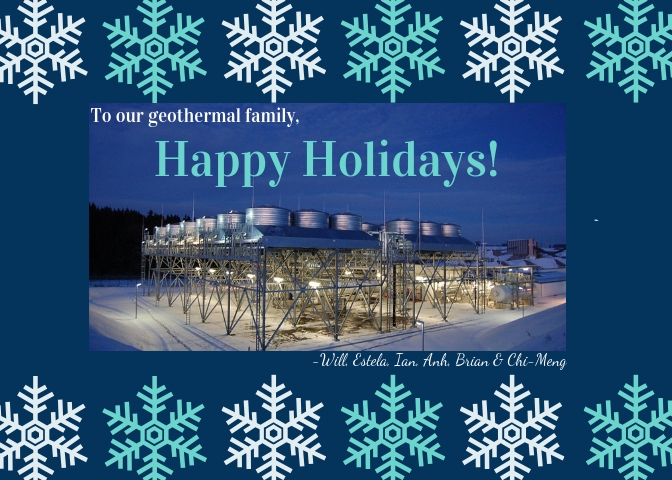 On behalf of our community, we would like to thank you for helping advance the geothermal industry! The GRC has generously provided 5 pages from the latest issue for free! However, the full issue is 68 pages and available to download for GRC Members only. 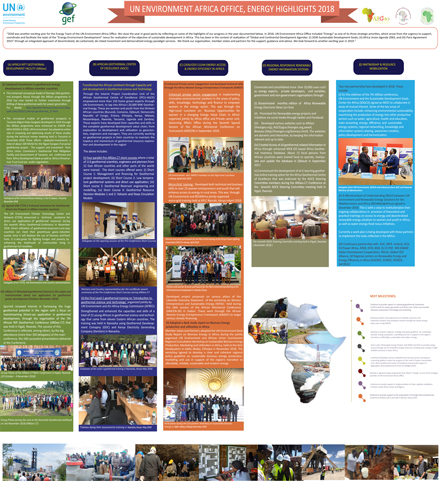 The free article is an overview of the 43rd Annual Meeting of the Geothermal Resources Council (GRC) with a photo essay of the Opening Session, Annual Charity Golf Tournament, Photo Contest and the Poster Session. In the full issue there is also a Technical Paper on an important advance in EGS research and 16 pages of geothermal news from around the world. Robit Finland Oy has agreed to cooperate with TEGS Finland Oy on technology developed for the drilling of deep geothermal wells. Cooperation will focus on improving the performance of drill bits intended for deep well drilling. The goal is significant cost savings. The Ministry of Economic Affairs and Employment has awarded TEGS Finland a grant of over EUR 2 million for the construction of a geothermal energy production plant at Nekala, Tampere Finland. Geothermal heat can be used in electricity generation and heating. The 7–8 kilometres deep energy well to be drilled at Tampere will heat circulating water for use in the district heating network. Construction of the production plant, which will generate 29,050 MWh of heat per year, will start at the beginning of next year. 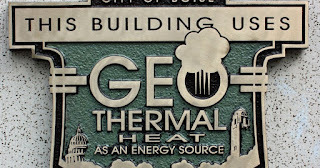 around town that use geothermal energy. There are only a handful of places around the country that are able to use geothermal energy — Boise is home to the nation's largest system. There's a fault line in the Boise Foothills, where historically there have been dozens of hot springs, which has been being tapped into now for 35 years as a way to provide heat for the city. There are 92 buildings downtown that are heated using geothermal energy — among them are several hotels, the YMCA, Boise High School, City Hall, the Ada County Courthouse, and parts of Boise State University. In 1999, the city installed an injection well at Julia Davis Park which allows every gallon that is taken out of the ground to be put back into the exact same aquifer— making the City of Boise a sustainable closed loop system. We seek a Mendenhall postdoctoral fellow to advance our capability to reconcile observed patterns in seismicity and ground deformation with physics-based models of geothermal field fluid and heat circulation, associated reservoir deformation and active stimulation. Ideally, this work would address the impact of real or idealized industrial geothermal activities. We invite proposals to improve our understanding of aseismic moment release, fault friction dynamics, permeability alteration, migration of fluids, and/or changes in the state of stress, pressure, and temperature. Additionally, we invite research to help determine the relative importance of these phenomena in geothermal environments using observations like seismicity patterns, surface deformation, pressure and temperature, borehole (or inferred) stress information, and injection and production volumes. Successful operation of Enhanced Geothermal Systems (EGSs) requires easy flow of geothermal fluids. Pre-existing faults often provide low permeability pathways for fluid flow. However, such faults may be reactivated during geothermal operations, potentially leading to induced seismicity. Whether or not fault movement leads to induced seismicity depends on the fault frictional properties, which is affected by a range of factors, including the fault rock composition. Both permeability and frictional properties can be affected by the flow-through of the undersaturated solutions involved in geothermal operations, which can lead to mineral dissolution and precipitation, as such changing the (connected) porosity and the fault rock composition. This project aims to quantify how flow-through of undersaturated solutions affects the composition and transport properties of fault materials typical for EGSs, and what the implications are for the frictional properties and thus induced seismicity. The approach adopted involves experimental work, microstructural investigations and microphysical modelling. In addition, the student may be able to work with an industry reactive transport modelling code. According to their research, the so-called “deep farms” could grow 10 times as much food per acre at a fraction of the cost. 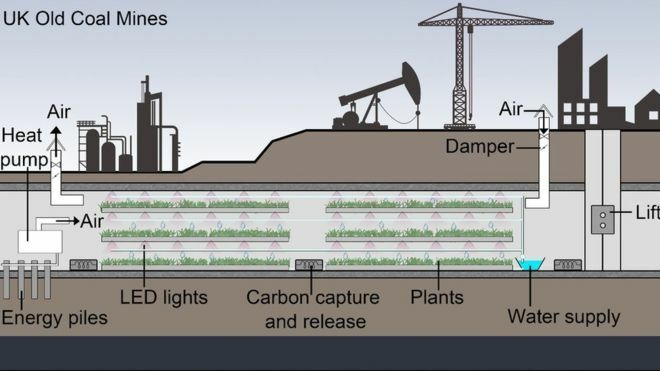 Like geothermal greenhouses, the farms would use free heat from the Earth’s core to allow year-round crop production. The researchers say the mines, that once contributed to climate change, are the perfect environment for sheltering crops from its effects. Underground farms are unaffected by irregular seasons, cold winters and erratic weather patterns. The temperature and humidity levels are generally consistently temperate underground. Geothermal Development Company, GDC, have started drilling wells in Baringo in a move to tap geothermal power where prospects of its deposits have been found. According to its website GDC has completed a seventy kilometer access road to open up the Baringo-Silali area for drilling. GDC has also contracted Hong Kong Off-Shore Oil Services Limited (HOOSL) to drill 15-20 geothermal wells. Climeon has received an order from Iwana Power GK of Heat Power modules worth SEK 40 million. The Heat Power modules will be deployed as a geothermal power plant in the Gifu Prefecture in central Japan and are to be delivered in 2019. The order is placed by the Heat Power Operator Iwana Power GK, part owned by Baseload Power Japan and local entrepreneurs. 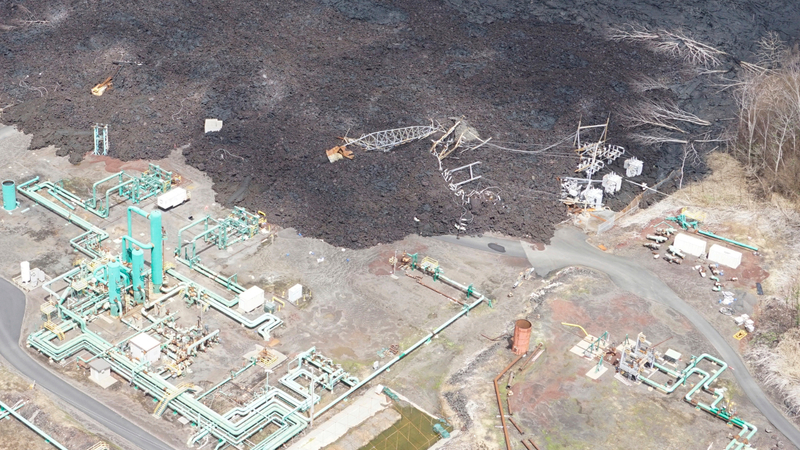 The Dominica Government says it intends to start construction of a geothermal energy power plant by the third quarter of 2019. Energy Minister Ian Douglas said that the plant to be constructed in the Roseau Valley, on the outskirts of the capital, will be a major boost for the island that is attempting to become the world's first climate resilient country. He said that the geothermal programme is proceeding “on track”, and that a local company has already been established to ensure the continued success of the project. 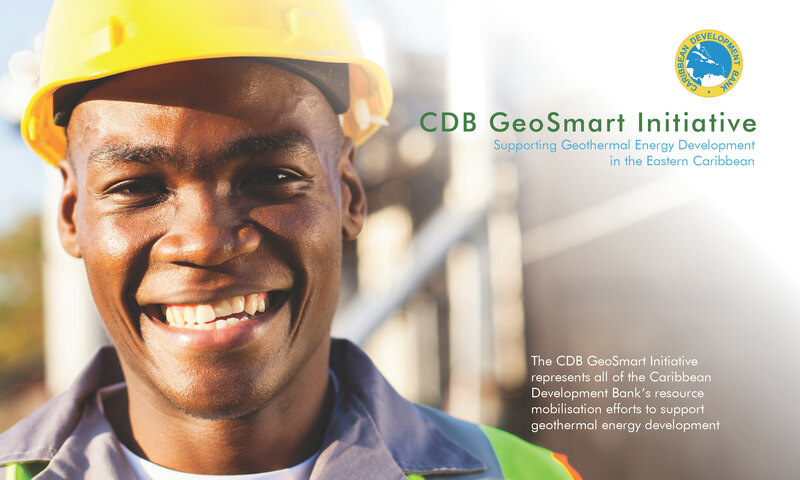 Earlier this year, the World Bank announced that it would be providing more than US$17 million towards the development of a geothermal plant for Dominica. Ormat Technologies, is once again going hybrid, adding solar energy to a geothermal plants to raise efficiency and to boost income from the energy off-taker, Southern California Public Power Authority (SCPPA). The 18 megawatt photovoltaic solar installation will cover the geothermal plant’s parasitic, or operational energy consumption, freeing up power that SCPPA agreed last year to purchase at a hefty rate of $75.50/MW-hour. Activities range from initial concept development with computer software to running an experimental laboratory work, testing prototypes, optimization, and reports writing. The Project Engineer's role requires a deep understanding of the engineering design and laboratory setup to test samples. This cross-functional position and will assist Engineering team in design and analysis of physical processes happening inside the wellbore and porous reservoir. Members of the Institute of Engineering Desalination and Alternative Energy (iiDEA, for its acronym in Spanish), of the National Autonomous University of Mexico (UNAM), have created the first geothermal food dehydrator. It is useful for processing fruits such as pineapple, mango or avocado, and any other type of food such as chili, alfalfa, and even meat, and is able to obtain 600 kilograms of product per day. The prototype will soon be installed in a geothermoelectric field located in the municipality of San Pedro Lagunillas, Nayarit, where it has the capacity to generate 35 MW in a 25 MW condensation system, and two at a back pressure of 5 MW each. In this agricultural area, the hot water wells that generate electricity still have an energetic remnant that will be used to dehydrate food. Through the use of geothermal energy (the heat of the planet), water is extracted from food without altering its nutrients and other properties. This Funding Opportunity will remain open for an extended period, and new topics will be released periodically to target emerging technologies and potential new program areas. This first round calls for innovative technologies supporting next generation nuclear energy, high temperature sensors for downhole geothermal exploration, and ultra-durable, lower-energy concrete for infrastructure. ARPA-E will award up to $18 million to project teams spread across standard and small business (SBIR/STTR) solicitations. Σύμφωνα με τον δήμαρχο Παγγαίου, Φίλιππο Αναστασιάδη, «ολοκληρώνονται οι κατασκευαστικές μελέτες, ενημερώθηκε ο περιφερειάρχης, Χρήστος Μέτιος, και η Διαχειριστική Αρχή της περιφέρειας και σε πολύ σύντομο χρονικό διάστημα θα υποβάλουμε τον πλήρη φάκελο των μελετών». Η αξιοποίησή του προβλέπει την κατασκευή των υποδομών που θα επιτρέψουν την άντληση και τη μεταφορά της οικονομικής και ανανεώσιμης γεωθερμικής ενέργειας στην περιοχή της Δημοτικής Ενότητας Ορφανού. Ο δήμαρχος προβάλλει τη σπουδαιότητα της εκδήλωσης ενδιαφέροντος από μεγάλη εταιρεία για την υλοποίηση σημαντικής επένδυσης στον τομέα της καλλιέργειας και παραγωγής φαρμακευτικής κάνναβης. (From Google Translate) According to the mayor of Pangaio, Filippos Anastasiadis, "the construction studies are completed, the district chief, Christos Metios, and the managing authority of the region are informed and in a very short time we will submit the complete dossier of studies". Its exploitation envisages the construction of the infrastructures that will allow the extraction and transportation of the economic and renewable geothermal energy in the area of ​​Orfanos Municipal Unity. The mayor highlights the importance of interest from a large company for the realization of a significant investment in the cultivation and production of pharmaceutical cannabis. The Akropotamou geothermal field is located in the coastal zone of the municipality of Pangaiou between the area of ​​Loutra Eleftheres and the beach of Karyne. 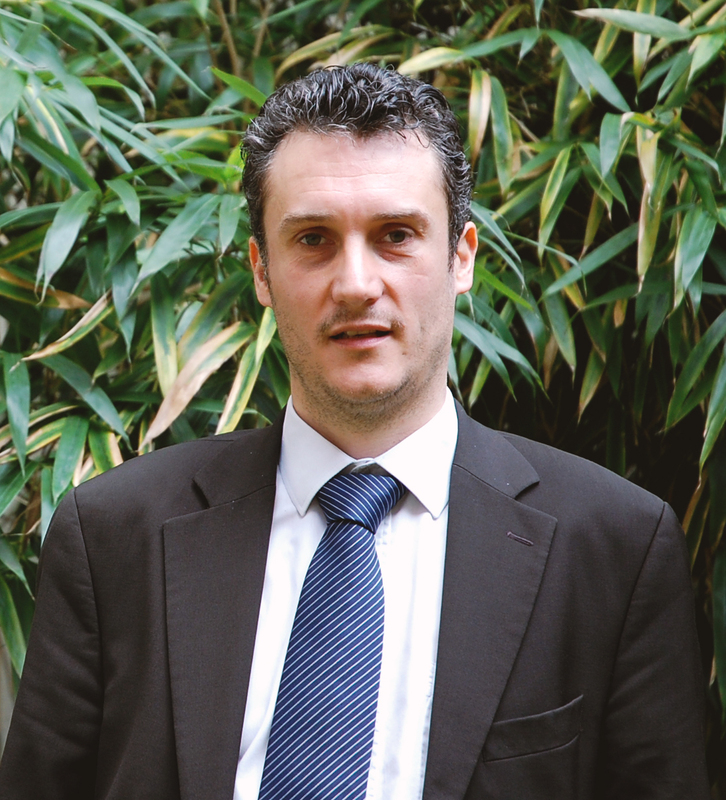 While in Italy a proposed decree could eliminate subsidies for traditional geothermal, the European Parliament recently passed the Renewable Energy Directive, the Energy Efficiency Directive and the Governance Regulation to accelerate the development – among others - of geothermal energy. What can be done to create a shared vision and non-conflicting regulations for the development of geothermal energy among European Union and single member states? What role can EGEC, by itself or through its associates, play in achieving this? The December issue of the European Geothermal Energy Council (EGEC) Newsletter is now available. The global GRC membership took part in the ballot in November, and the result was that five new members of the Board were elected: Andrea (Andy) Blair, Lara Owens, Robert Podgorney, Jefferson W. Tester and Hildigunnur (Hidda) Thorsteinsson. They join eight other members who have been re-elected to the Board of Directors: Louis Capuano, III, Warren T. Dewhurst, James Lovekin, Leland "Roy" Mink, Jon Trujillo, Jeff Witter, Shigeto Yamada and Katherine (Kate) Young. The diverse membership of the Board of Directors reflects the mission of the GRC to represent the entire global geothermal community. 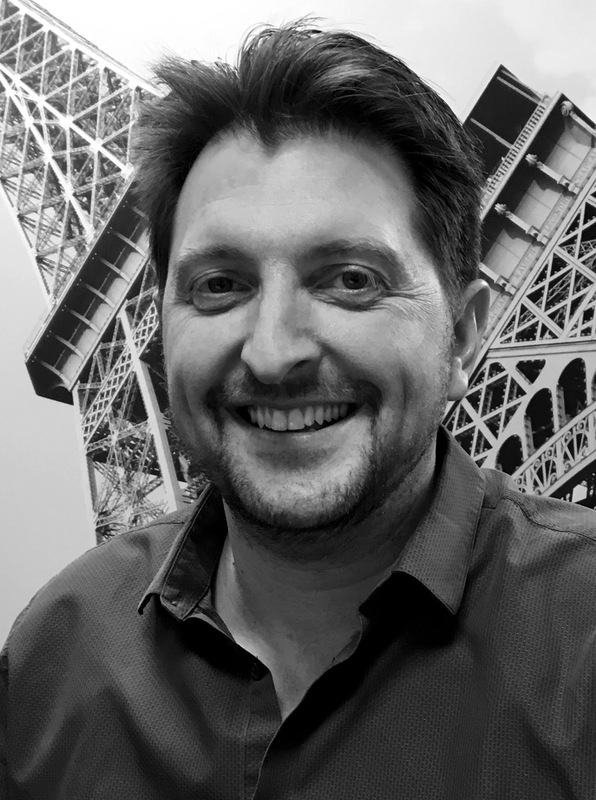 William Pettitt, Executive Director of the GRC commented "We would like to congratulate all the new members of the Board on their success in the election and express our appreciation for them standing up to be a Director of the GRC. It is a great honor for us to work with them all and we look forward to starting towards our schedule of 2019 goals for increasing awareness of geothermal energy across society, in the USA and abroad." Seequent, a world leader in visual data science software, today announced it has completed the acquisition of Geosoft, a Canadian geoscience software company. The acquisition accelerates Seequent’s growth in mining, civil engineering, energy, government and environmental sectors by bringing together its Leapfrog 3D geological modelling software suite with Geosoft’s subsurface geoscience and exploration technology. 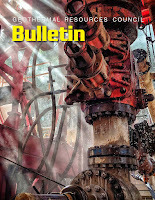 The Geothermal Energy Magazine - Now Available Online - 68 Pages! The November/December issue of the GRC Bulletin is now available. Produced by the Geothermal Resources Council since 1972, the Bulletin is the voice of the international geothermal energy community. Best Student Poster - Numerical Simulation of Effects of Multilateral Wells on Thermal Characteristics of a Fractured EGS Based on a Thermal-hydraulic-mechanical Coupling Model, by Yu Shi, et al. The GRC Bulletin is only available online to GRC members. To make sure of your copy join the GRC today! If you are a member of the community download your Bulletin now! Healdsburg is going green, well maybe not literally, but starting at the end of the month several city facilities and operations will start using 100 percent renewable energy, a move that will greatly reduce carbon dioxide emissions and put Healdsburg in the forefront of emission reduction as the second city in the county to move towards renewable energy. The city’s utility conservation analyst Felicia Smith says 70 city facilities and operations accounts will move to 100 percent renewable energy fully powered by geothermal energy from the geysers. “This includes city hall, the wastewater treatment plant and operational accounts like traffic signals, pathway lighting and EV (electric vehicle) chargers,” Smith said. This is an R&D project which will build and test a new field-scale thermoelectric generator (TEG) at our Bottle Rock Power geothermal facility near Cobb, California. TEGs produce electrical energy when a strong enough temperature difference exists across the generator (a phenomenon known as the Seebeck effect). This will be the first TEG developed specifically to generate electricity from a geothermal resource with the goal of making renewable geothermal electricity more competitive in the marketplace. This project will not only prove the feasibility of using TEG materials with a geothermal resource but also develop how this technology can be installed in an operating field. This project is supported by a generous grant from the California Energy Commission’s Electric Program Investment Charge (EPIC) program. A workshop co-organised International Renewable Energy Agency (IRENA), the Organisation of Eastern Caribbean States (OECS), the World Bank, and the International Geothermal Association (IGA), represented a starting point. Held in Castries, Saint Lucia, the workshop brought together 60 key experts and geothermal energy decision makers from across the Caribbean to discuss challenges and co-develop solutions to advance geothermal development. The workshop is the continuation of an international series to pilot the ‘United Nations Framework Classification (UNFC) to Geothermal Energy Resources and Reserves’ — a harmonised framework for qualifying estimates of extractable geothermal energy by projects. Taking into account economic viability, technical feasibility and geological confidence, the UNFC specifications are designed to help stimulate geothermal investments by making geothermal resource bases easier to understand. While a previous workshop tested the specifications at national-level in 14 different cases on the Indonesian island of Flores, the workshop in Castries for the first time tested the system at a regional-level, with five trials from five different countries. PT Medco Energi Internasional Tbk (MEDC) melalui anak usahanya PT Medco Power Indonesia yang bergerak di bidang kelistrikan, telah menandatangani nota kesepahaman dengan PT Sarana Multi Infrastruktur (SMI) untuk pengembangan pembiayaan proyek panas bumi di tahap eksplorasi. (From Google Translate) PT Medco Energi Internasional Tbk (MEDC) through its subsidiary, PT Medco Power Indonesia, which is engaged in electricity, has signed a memorandum of understanding with PT Sarana Multi Infrastruktur (SMI) to develop financing for geothermal projects in the exploration phase. On 17 December 2018, shortly before Christmas, the trial operation was commenced in Holzkirchen. As a first step, the submersible centrifugal pump has been in operation since the 19th December and the heat produced fed into the Holzkirchen district heating network. From spring 2019, the power plant will also commence a trial operation. The trial operation and various test works are expected to continue throughout the coming year. Holzkirchen is currently the southernmost and deepest hydrothermal geothermal project in Germany. The two wells drilled in 2016 and 2017 reached final depths of approx. 5,100 m (vertical) with a drilling distance of up to 6,084 m. The drilling component of the project was completed in 2017. The geothermal plant in Holzkirchen is to be operated with a temperature of approx. 155°C and a production rate of approx. 55 l/s. Erdwerk supervised the subsurface component of the project in Holzkirchen from the planning, the overall construction management for the two deep wells to the now completed commissioning of the submersible centrifugal pump and the long-term pump test. Landsvirkjun, Iceland’s national power company, and Etix Everywhere Iceland, a subsidiary of Etix Everywhere Borealis, have signed a power contract for the supply of 25 MW to the company’s new data center in the Blönduós municipality in the North of Iceland. Operations have already begun in Blönduós and construction work to expand the data center is currently underway. The center will be the first energy-intensive industrial operation to connect to Landsnet’s transmission network in the area. A combination of renewable energy resources, competitive terms and the Icelandic climate contribute to creating favorable conditions for data centers in Iceland. The energy covered by the agreement will be delivered from Landsvirkjun's current power station network. Landsvirkjun has recently opened a new geothermal station in Þeistareykir in the Northeast of Iceland. The company now operates three geothermal stations. The ratification of the contract is subject to certain conditions. Ormat Technologies Inc. today announced that the third phase of its McGinness Hills geothermal complex located in Lander County, Nevada has begun commercial operation. The 48-megawatt (net capacity) power plant started selling electricity to Southern California Public Power Authority (SCPPA) under the Ormat Northern Nevada Geothermal Portfolio Power Purchase Agreement. SCPPA resells the entire output of the plant to the Los Angeles Department of Water and Power (LADWP). The third phase is expected to generate approximately $30 million in average annual revenue. Seasons Greetings to the Global Geothermal Energy Community! Inter-American Development Bank (IDB) President Luis Alberto Moreno and Energy Specialist Christiaan Gischler discuss the potential of geothermal energy in Latin American and the Caribbean as well as a new Sustainable Energy Facility to help Caribbean countries tap into this clean and sustainable resource. During our 2018 Annual Meeting and Expo in Reno last month the term “Speaking with One Global Voice” suddenly took off. It appeared in conversations everywhere and clearly struck a deep-seated chord in the imagination of the community. I first used that term in an interview published online and then in my opening address to the meeting. The language has probably been used many times before and I discovered its significance during earlier discussions with Dr. Kate Young about the GRC’s Ambassador Program that she has led. It seems that our community is saying the time is right for us to speak with one global voice. Speaking with one global voice does not mean there is only one speaker. Nor does it mean that we are focusing on the international arena. The use of the term “one global voice” instead means that we are finding a comprehensive voice, built by consensus, that can be communicated everywhere by everybody (Definition of global according to online Oxford Dictionaries: Relating to or encompassing the whole of something, or of a group of things). What we aim to achieve is as many speakers as possible, millions if we can get them, all communicating consistent messages for geothermal energy. How do we achieve that? This three-day course is for entry-level users of Leapfrog Geothermal and covers the basics of modelling from well data, geologic maps and cross-sections plus geophysics and reservoir simulation integration. Aimed at professionals who have already taken the fundamentals course, this two-day intermedia training will delve into more advanced technical examples of the most common tools in Leapfrog Geothermal. We will focus on geological models and editing, numerical models, and the interoperability function with flow simulation. The United States Energy Award was established in 1989 to recognize preeminent energy leadership and contributions to international understanding of energy issues. PT Pertamina Geothermal Energy (PGE) saat ini sedang membangun pembangkit listrik tenaga panas bumi (PLTP) di Sumatera Selatan (Sulsel). Pembangunan pembangkit yang berlokasi di Lumut Balai, Muara Enim tersebut menelan biaya hingga US$ 120 juta atau setara Rp 1,74 triliun (kurs Rp 14.500). Menurut Direktur Eksplorasi dan Pengembangan Khairul Rozaq PLTP saat ini PLTP tersebut sedang tahap pembangunan dan akan selesai di tahun 2019. (From Google Translate) PT Pertamina Geothermal Energy (PGE) is currently building a geothermal power plant (PLTP) in South Sumatra (South Sulawesi). The construction of the plant, located in Lumut Balai, Muara Enim, costs up to US $ 120 million or equivalent to Rp 1.74 trillion (exchange rate of Rp 14,500). According to the Director of Exploration and Development of Khairul Rozaq PLTP, the PLTP is currently under construction and will be completed in 2019. In order to develop geothermal power, abundant underground heat and steam is required, which is not that easy to find. At the same time, large investments are needed in assessing the resource, conducting exploratory drilling, constructing geothermal plants, and building transmission lines. Small Islands Developing States (SIDS), like those in the Eastern Caribbean, have the additional challenge that undertaking a large investment like a geothermal plant with their own funds could jeopardize their national macroeconomic performance. The Sustainable Energy Program (SEF) for the Eastern Caribbean was designed to tackle both problems. The SEF uses the climate funds such as the Clean Technology Fund (CTF) and the Green Climate Fund (GCF) to mitigate the geothermal risks. These climate funds are used as contingent recovery grants (CRGs). That means that the developer receives the CRGs and if they drill and fail, the financing is treated as grant. However, if the geothermal exploration is proven successful, the CRG is transformed into a concessional loan and the developer repays the cost of the well by selling the electricity. Are you a student? Are you looking for opportunities to gain experience and build your resume? Do you want to win some money? Then the Geothermal Student Competition is for you! In January 2019, the Geothermal Technologies Office (GTO) will announce a competition focused on data-driven analytics, data visualization, and subsurface science. Graduate, undergraduate, and high school students will be tasked with creating portfolios of graphics, visual representations, and visual analyses of data from the Frontier Observatory for Research in Geothermal Energy (FORGE) – GTO’s flagship initiative that serves as a field laboratory site where scientists and researchers can learn how to engineer enhanced geothermal systems (EGS). The event aims at discussing the role of flexible renewable generation, including geothermal, for a successful decarbonisation of electricity. Under the direction of Nevada Bureau of Mines and Geology Director Jim Faulds - a GRC Member - and spearheaded by faculty member and Geologic Mapping Specialist Seth Dee, the project received initial funding through the USGS and Research & Innovation at the University of Nevada, Reno. 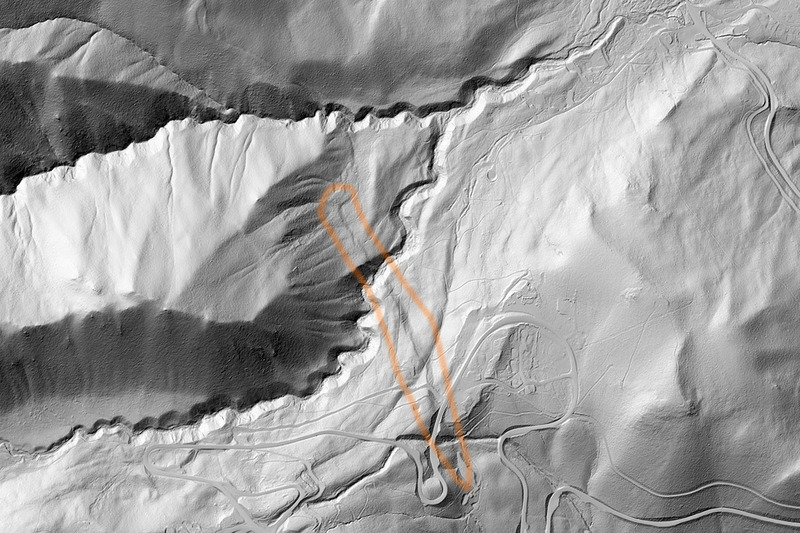 The project utilized airborne lidar technology to produce high-resolution topographic maps of the Reno-Sparks-Carson City area. The data will benefit a number of in-progress Nevada Bureau of Mines and Geology studies to understand earthquake and flood hazards, as well as natural resources.